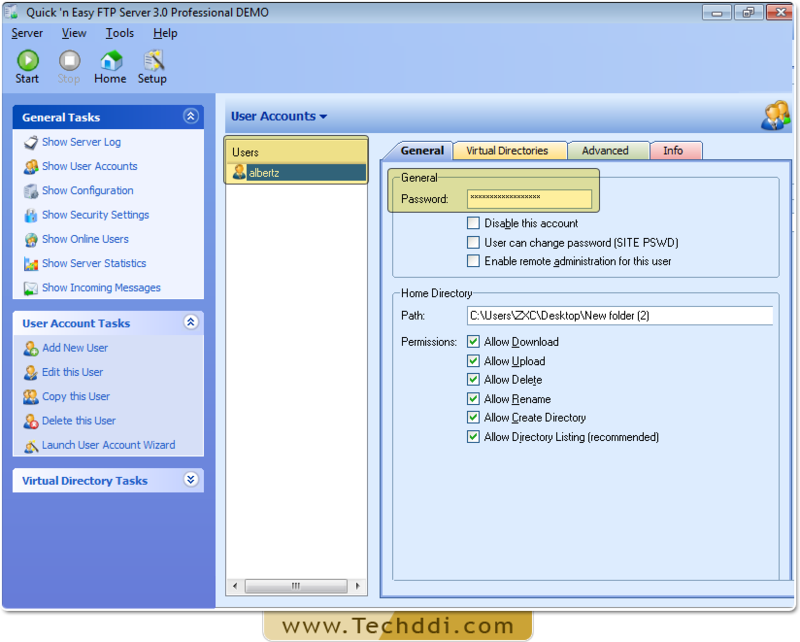 Password Recovery For quick 'n easy FTP Server provides instant recovery of forgotten or lost password from quick 'n easy FTP Server. 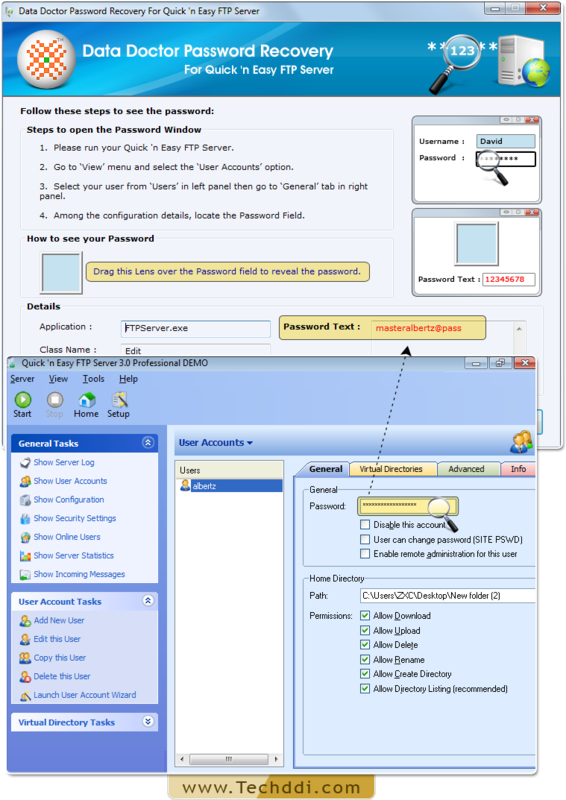 Password retrieval tool is beneficial for IT and forensic professionals to restore passwords even with special character. 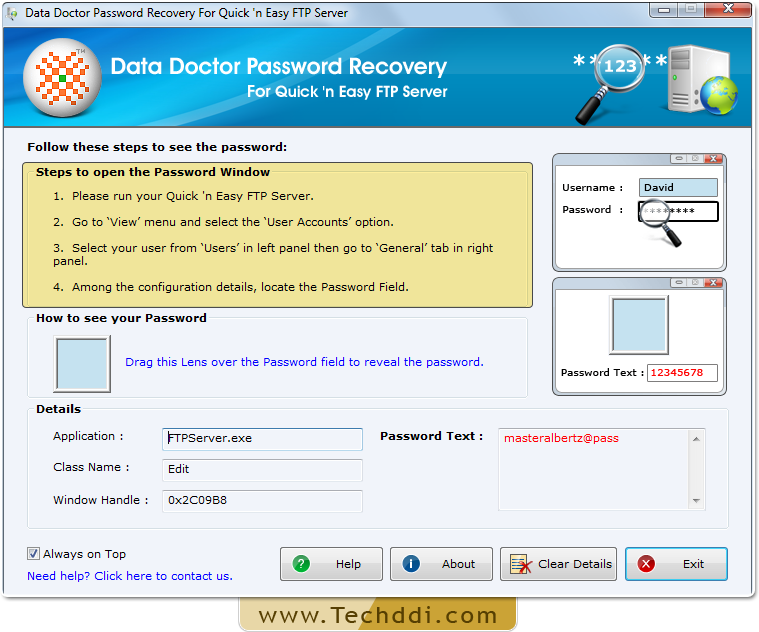 Lost password recovery by Password Recovery Software For quick 'n easy FTP Server. 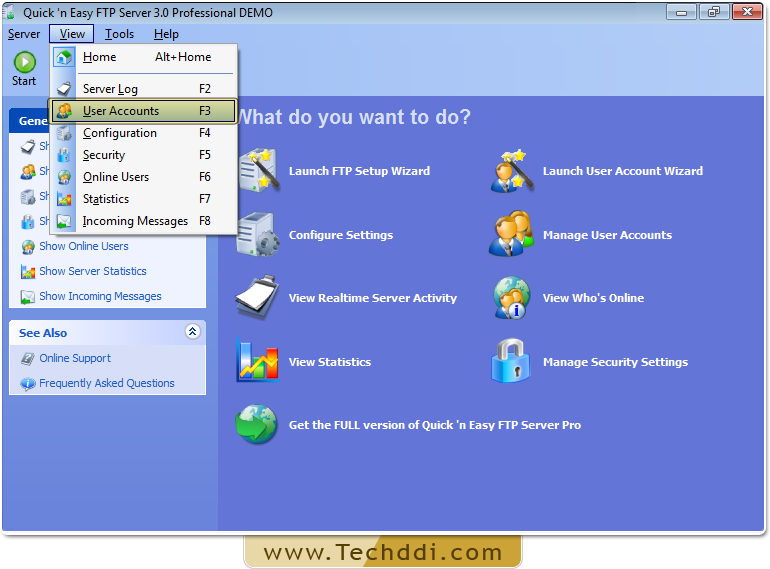 Run Quick ‘n Easy FTP Server and Go to ‘View’ Menu to select ’User Account option’. 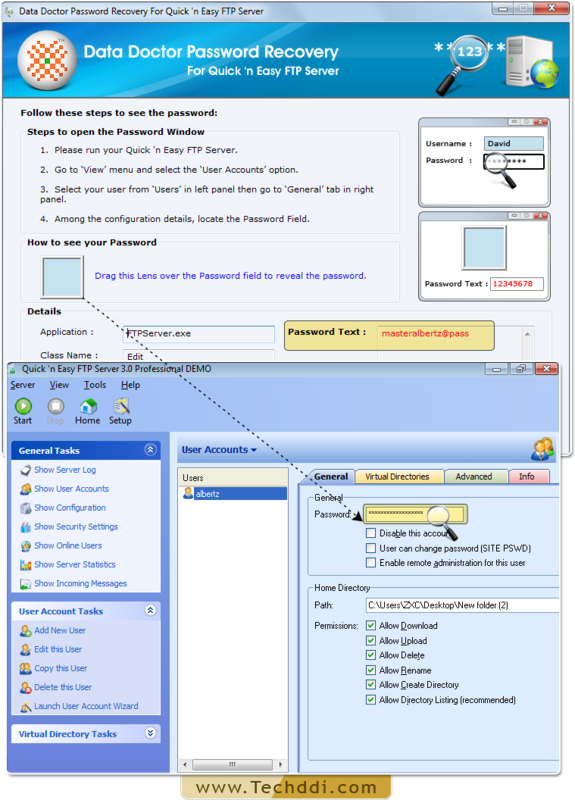 Among configuration details, locate password field by dragging lens over it.